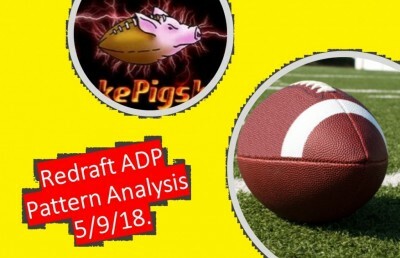 Post Draft MFL 10 ADPs_Player Risk and Ranks_Draft Pick Advantages_Numerous Action Packed Data Figures! I have updated the MFL10 ADPs from data after the draft as well. I urge you to question all data points to understand the why. This is the wisdom of the crowds as it is based on MFL10 ADPs but it is a starting point for your investigations. These next figures present each position, the FPR (Fantasy Professors ADP Ranking) and my risk number Early Risk. Red color not good while green is good! Example question. In the QBs the 3rd QB Brady has a high risk number relative to his draft neighbors. Why? What is the public as a group telling us? Next up is 2 figures that I use to see the entire draft. I use landscape level visual aids to make moves etc before the crowd. Questions such as when do I need to draft a TE or QB if I do not wish to have a player positional ranked at 13th or worse. So in TEs you can wait to at least round 8 to 9. QB2s start at round 10 as well! So in you draft plan going into a MFL10, plan for TEs and QBs in rounds 7 to 9 etc. These figures are landscape figures that I use to see the positional runs. I would like to be on the front to the middle of positional runs. These global views are at the team level. Questions can be generated by using them. I would suggest you go through these multiple times and generate questions to research. You must have these questions answered BEFORE the draft! This is a similar landscape view but at the position level. Where is "your" pick at by draft round? Why? Research your player! Lastly I like to be aware before the draft which draft pick positions are naturals for good WRs RBs etc. If I have pick 8 based on ADP I will not land on any QB to draft if I just autopicked! So I need to figure that I will have to reach out to draft a QB mostly slight below the ADP value but at the right round of course. I have included numbers of each positions, averages of ranks and risk all relative to draft pick. So at the current MFL10 ADP draft picks 3, 6 and 11 are naturals for landing on the best WRs. Nice to know! However, picks 1, 2 and 7 are just the opposite for WRs. Beware! Good Luck! The Textbook has been updated with latest good stuff. Hit the link! Sunday coming with this one. ___STD and __MFL PPR REDRAFT LEAGUES. Plus Bonus Data Stuff! _Game by Game Analysis. Final FSP's Color Coded Player Rankings with Risk_Defense @ Position_Vegas Data. Win Your Playoffs! % of Each Per Team. Time of Offense Possession. Scaled Atts/Min and Pts/Game. Ratio of Points/ATTs/Min. % OF PPR POINT DISTRIBUTION IN EACH TEAM'S POSITIONS. Drafting Fantasy Football Teams. % of the League's Total. Efficiency of Yardage Produced and Scoring Accomplished. % Positional Usage of each Team. Player Rankings. 29 Charts Data Festival! 2 WEEKS FANTASY DEFENSE DATA. TOPS AND FLOPS. ADJUST YOUR SOS! 2012 to 2014. Player's ADP vs Player's Final PPR Scoring Finish! 2015 A breakdown of PPR scoring. What RBs get more points from TDs and Receiving vs rushing! 2018 NFL Team Metrics. 2019 NFL Team Needs. FakePigSkin.com. 2018 FANTASY FOOTBALL. 2018 BEST BALL Drafting. AFC North __ Analysis __ A Storytelling Approach. After Playing 480 FanDuel Plays_Self Analysis_Bankroll Thoughts_How do an honest inward look!. Analysis of My Recent MFL 10 Draft. Part 2. Analysis of the Current ADPs and Drafting Patterns in MFL10s and 25s Best Ball Leagues. Part 3.
and Execution. I had a great time! Thanks League! and TDs. Color Coded! ___ Neat Waiver Wire Data! and WAS. Part 7. Hey Doc you are throwing too much data as us! Yep! Best Case Ranks and Risk Values. Color Coded Scaled Player Performance Rankings. Team_Position_Player Analysis. Study to find those Wavier Wire/DFS Picks_Week 10. Computational Rankings. Novel approach to fantasy football analysis. Current PPR ADP and Risk Analysis. Current PPR ADP Position Patterns and Draft Pick Analysis. What Draft Positions are Currently Better? Current Ranking for MFL 10s with Round by Round Variation Analysis. What players are better or worse than their current drafted rounds? Current RB PPR based ADP vs 2015 Scaled to the Average Points per Game Scored. Who are the Blue Light Bargains? Daily Fantasy Football Game by Game Analysis. FSP Predicted Points and Salary Point Values to the Avg. Use Vegas and Defense against the Positions as Guides. DAL DEN DET and GB. Injury Matrices. Part 3. Helps you think about the possibilities! Darft Rounds Sleepers and Anti-Sleepers. Darft Rounds Sleepers and Anti-Sleepers. What Rounds are the best to look for your Sleepers? Defense Against Data. Strength of Schedule. Defense Against Data. Strength of Schedule. NFC SOUTH. DEFENSE AGAINST THE POSITION and Vegas Data. Bonus Treat_Early PPR Rankings Color Coded with Risk. Defense Against the Position UpDated. Early Vegas Lines. Early Look into Week 11 and Playoffs Week 14 to 16. Plan Now! Depth Charts. Sleepers Fantasy Football. Computational Rankings. Novel statistical approached. Depth Charts. Sleepers. Computational Rankings. Novel statistical approached. DFS Color Coded Rankings Game by Game Analysis_Vegas Data_Defense against the Position Data. DFS Data Aids Player Value Reports. Neat Data! DFS Scaled Values Player Ranks. Game by Game Analysis with Vegas Data and Defense against the Position Data. Pick your Mo' Money Players! Draft Prep Data Issue #1 2013 to 2015 Team PPR Scoring Analysis. Color Coded Treats. Is your Team's Stock Up or Down in PPR Scoring? Early DFS Positional Predicted Points and Salary Values to the Avg. Color Coded for your Investment Pleasure! Game by Game DFS Report Coming Tomorrow. Early Keeper_Dynasty League Rankings with Risk Analysis. Listed by Team and by Position. Early MFL10s March 2017 ADPs with rankings and risk analysis. Early PPR Color Coded Risk and Numerical Risk Scores_Natural Draft Pick Players if all were drafted to the current ADP who would you get? Early Rushing Data Analysis Week 1 2 and 3. By Players and Teams by Weeks. Look at the Big Picture! Early Rushing Data Team Analysis. Color Coded. Look at the Data from a Team Angle! EARLY WEEK 1 QB DATA. COLOR CODED. Early Week 1 to 10 Scaled Player Performances. Find those Ascending Players for Waiver Wires or DFS Mo Money! Early Week 10 DFS Scaled Value Scores by Position. See the Bargains. Mo' Money Plays! Early Week 13 Pickups Wordle Style! Plan now while the Sunday Night and Monday Games are on. Early Week 15 Pick Ups. Wordle Style_ Study now to crush your playoffs! Early Week 8 Waiver Wire Grabs Colorful Wordle Style! Early Week 9 Waiver Wire Grabs Colorful Wordle Style! Efficiency of Scoring and Yds passing. Neat! Fanduel Mo Money Week 12 Report. Final FSP PPR Ranks. Color Coded. Make Risk your Friend! First 3 Week Team Positional Distribution Target Report. Color Coded Exploding Doughnuts. First Three Weeks Team Scoring Balance. %Rush VS Pass TDs. Exploding Doughnuts! Flex Player Analysis_Rank to Risk Ratios_New Metric from FSP! Floor to Ceiling Draft Rankings. Update Graphical View. Draft the Floor expect the Ceiling! FPS Game By Game_Player Rankings with Risk Analysis_Defense Against the Position and Vegas Data. FSP DFS Value Picks and Player Ranks. Value to the Average on Predicted Points and Salaries. FSP Final PPR Rankings with Risk Analysis Using Vegas and Defense against the Position Data! FSP Last PreSeason PPR Rankings. Risk Rankings. Position vs Team View! FSP Player Rankings With Risk. Team_Position_Player. Vegas and Defense Against the Position Data. Crush Fanduel or your Leagues! FSP Snappy SNAP Report Weeks 1 to 9. % of Last Snaps_Color Coded Analysis_Waiver Wire and DFS Data. FSP's Color Coded Target Report Week 1 to 12. What is the Team Breakdown? Who is getting the Looks? FSP's EARLY Player Performance Analysis. Weeks 12 to 15. Color Coded Player Performance to the Position Average. Who is hot now! FSP's FanDuel Scaled Player Values By TEAM and Position. Color Coded Fun. Rake that Mo Money! FSP'S FanDuel Scaled Positional Player Values_Color Coded Analysis. FSP's Game By Game FanDuel Scaled Player Values and Projected Points using Vegas Data and Defense Against the Position Data. FSP's Latest Dynasty Rankings with Player Risk Analysis. Bonus ADP Dynasty Draft Positional Color Coded Graph. When to draft what Position? FSP's Player Performance Weeks 6 to 12. Color Coded_Scaled to the Average. Allow Looking Across Positions and Weeks. Who is Hot or Not? FSP's Saturday Night Showdown. Color Coded Ranks_With Player Risk Analysis. Defense against the Position and Vegas Data. Crush your League! FSP's Snappy SNAP Report Weeks 6 to 12. Hot or Not? Waiver Wire Playoff Gold! FSP's Snappy Snap Report. Color Coded Analysis. Week 1 to 13. Who is Hot? or Not? FSP's Snappy Snap Report. Weeks 12 to 15. %W15 of Total. Catch the players on the Rise! Win! FSP's Snappy SNAP Reprt. Weeks 7 to 14_ Color Coded Analysis. Who is Playing or not? FSP's Sunday and Monday Game by Game Analysis. Color Coded Analysis with Player Risk Assessments. Defense against the Position and Vegas Data. FSP's TerrifIc TARGET Report_Color Coded Analysis Weeks 7 to 14. Who is getting the Attention? Who has been forgotten! FSP's TERRIFIC TARGET Report. Color Coded__Team Positron Player by Weeks_Also % of Total Targets Last Game for Wavier Wires and Trades. FSP's Terrific Target Report. Weeks 1 to 9. Color Coded Fun Facts for your Waiver Wire and DFS pleasure. Conquer your League! Mo Money at Fanduel! FSP's Thursday Night Game Analysis_Color Coded Ranks with Player Risk_Defense against the Position Data and Vegas Lines. Crush your leagues! FSP's Thursday Night Game Analysis. Player Ranked. Color Coded With Risk Analysis. Defense against the Position and Vegas Data. Use to begin your Victory Week! FSP's Thursday Special Game by Game Rankings with Risk_Defense Against the Position and Vegas Data_Come Get It. 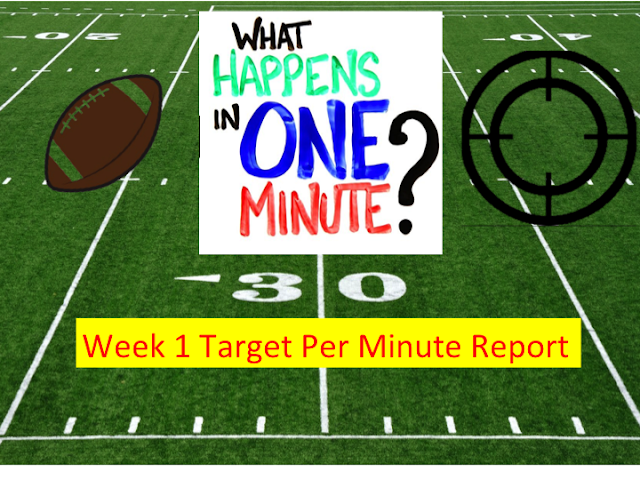 FSP's WEEK 10_SNAPPY SNAP Report_%of Last Game's Snaps_Week 1 to 10 Analysis. Find those playoff bargains. FSP's WEEK 12 Player Rankings_Game by Game Using Defense Against the Position and Vegas Data_Defeat your Foes! FSP's Week 16 DFS Value to the Avg by Position. Ho_ho_ho give me that dough! FSP's Week 16 Early Pickups. Lots of Possibles but its a gamble. Win that Championship. Use these players to crush your opponents! FSP's Week 17 Wavier Wire Wonders. Grab them for the final battle. Good Luck! FSPS PLAYOFF WEEK 1 EARLY WEEK RANKS WITH RISK ANALYSIS. PLAN NOW! FSPs Snappy SNAP Report. Weeks 12 to 16. Color Coded Highlighting of Highest Used at the Position. %of Week 16 to the Player's Snap Total. Who is a surprise? FSPs Terrifc Target Report. Week 12 to 16. Color Coded By Position W15 and 16. Percentage of Player W16 Targets to their Total Targets. Find the Surprises! FSPs Terrific Target Report. Weeks 12 to 15. Color Coded Analysis. %Week 15 Highlighted. Who was Hot Last Week! FULL POINT PPR vs STD. What is the order of the Positions Drafted? Where are the predicted RB/WR Runs. Game By Game Week 7. Defense Against the Position and Vegas Data. PPR Player Value Ranking with Risk Analysis. KC and LAR. Inspirational Draft Aids! Part 4 of Fun Stuff. Last Minute STD Rankings Week 1 with Ranks and Risk Values. MFL 10s ADPs Player Rankings with Our Risk Valuation. Team view and Focused WR and RB using both TEAM and Draft Pick Focus! Monday Night Fight Den vs Cin. Next Stop is Win City for You! 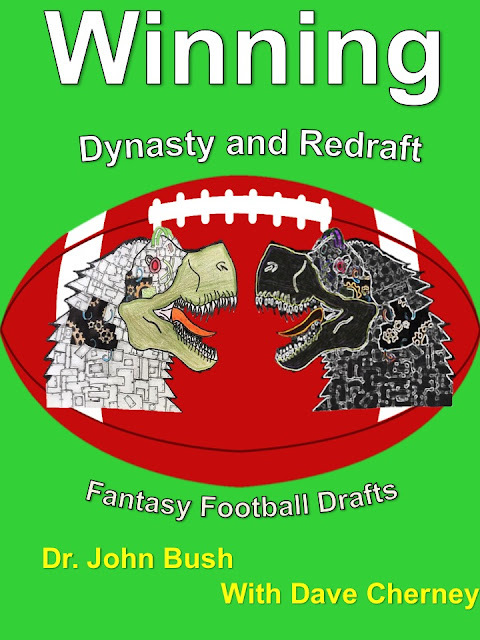 My Textbook for Winning Fantasy Football Drafting is now for Sale on Kindle. Links and my table of contents. Plan now to crush your draft later! NFL Metrics. NFL Flash Cards. NO and NYG. PART 5. It's a data festival! Novel approach to fantasy football analysis. Computational Rankings. Novel approach to fantasy football analysis. Sleepers Fantasy Football. Novel approach to fantasy football analysis. Sleepers Fantasy Football. Computational Rankings. Novel statistical approached. One Page PPR Draft Plans to the 8th Round. 3 Choices. PIT and SD. Part 6. Goodness Its More Data. Does he ever sleep? Pivot Players. Drafting Fantasy Football Teams. Player Performance Weeks 10 to 13. Color Coded. Comparison of Week 13 - 12. Waiver Wire Fodder! Playoff Teams Week 1_ FSPs Snappy SNAP report. Who is the New Face? Color Coded % of Week 17 Players Data! Playoffs Week 1 FSPs Terrific Target Report. Weeks 12 to 17 for this week's playoff teams. %of Week 17 Data. Color Coded. Who is the HotDOG! PPR Scoring Based Sleeper Stock Market. Data from 5 Expert Groups. Early Bargains? Professor's Report Card Offensive Team Grades. Color Coded for you Pleasure! Public Rankings. Color Coded Goodness! Quick Hit_ Questions to Answer about your Team's performance in 2015 that can be used for 2016. Rake that $$ Cash $$ at FanDuel! RANKED POSITIONAL PPR POINTS IN EACH TEAM. THE HIGHS AND LOWS. Drafting Fantasy Football Teams. Rankings and Risk in a STD League. Extra Stuff Also. RB Rankings with Risk. 32 Action Packed Figures. Area Graphs New Way to "see" RBs by Ranks and Risk. Receiving and Rushing. Color Coded Splendor. Regular PPR Scoring Ratings Insiders vs Outsiders. Who are the Current Value Sleepers and Anti-Sleepers? Regular STD Scoring Ratings Insiders vs Outsiders. Who are the Current Value Sleepers and Anti-Sleepers? Rushing Report Weeks 1 to 7. Color Coded Analysis. Scaled PPR Player Rankings with Risk Values. Self Analysis. Novel approach to fantasy football analysis. Computational Rankings. Novel statistical approached. Sleepers with Risk Analysis. Color Coded Goodness! Snap Counts Week 1. Color Coded! Who is really playing? Who is in the Team's Game-Plan! STD Scoring and PPR scoring. STD vs PPR SCORING Current ADP Current Player Rank and Risk Tables. Marching to the Draft! STD WR ANALYSIS Part 2. TEAM Analysis with Area Graphs and Color Coded Tables. See the Future? Super Target Report_Week by Week_Team_Postion_Player Color Coded Analysis. Targets per Time Spent on Offensive Time. Team Positional % of Targets. Players Up in target last 2 weeks. TE and QB for each Draft Round! TE Preseason Data Colorized Tables Neat. TEAM analysis. Novel approach to fantasy football analysis. Computational Rankings. Novel statistical approached. TEAM analysis. Novel approach to fantasy football analysis. Sleepers Fantasy Football. Computational Rankings. TEAM analysis. Novel approach to fantasy football analysis. Sleepers Fantasy Football. Computational Rankings. Novel statistical approached. The FSP Week1 to 8 Snappy SNAP Report!. One day your in the next you are out! Find the "Hidden" Waiver Wire Picks. Color Coded as a Treat! Things to do after the draft to prepare for 2016 analysis. Thursday Night Data_Player Rankings with Risk Analysis_Vegas Data_ Defense against the Position Data_Who has the advantage tonight! Thursday Night Rumble. DET vs GB. FSP's Exclusive Color Coded Player Rankings with Risk Assessments. Vegas and Defense Against the Position Data! Thursday's Pre Game Color Coded Player and Team Ranks with Risk Values. Update PPR Scoring TEAM Point % Distribution! Use as an AID for Drafting! UPDATED STD Scoring Sleepers and Anti-Sleepers with Risk Values. Updated 2016 QB Rankings with Overall Risk and Ranks as well as Positional Risk and Ranks. Updated 2016 RB Rankings with Overall Risk and Ranks as well as Positional Risk and Ranks. Updated 2016 TE Rankings with Overall Risk and Ranks as well as Positional Risk and Ranks. Updated Redraft and Dynasty 2016 WR Rankings with Overall Risk and Ranks as well as Positional Risk and Ranks. Updated Risk Levels For PPR Players. Neat Color Coded Graphs! Updated Sleepers and Anti-Sleepers with Bonus Risk vs ADP Graph! UPDATED Sleepers_AntiSleepers PPR Scoring Which Assigned Risk Values! Updated Team Defense Data. Value to Avg for Passing and Rushing Yards Allowed. Game By Game Vegas and Defense Analysis Color Coded Goodness. Value Based PPR TE and QB Rankings with Value Based Tiers. Way Too___Early Week 1 Ranks. Best/Worst Ratios and Overall Risk Analysis. WEEK 1 and 2 QB DATA Looking for a New QB. Use Our Data for your Search. Efficiency of Yds and Scoring via Passing. Week 1 to 5 Data Analysis_TEAM RB Report _Attempts per Week_Passing Targets_ Rush to find your RB! Week 1 to 6 Passing_Rushing_Receiving. Color Coded Analysis. Who's Hot now! Week 1 to 8 Player Performance Scaled Color Coded Rankings. Who has a positive a pattern? Week 10 Early Waiver Wire Pickups. Act Now while everyone's still in Week 9! Week 11 Early Pickups. Plan Now While Everyone is Worrying about Week 10! Week 11 Updated_Defense Against the Position (DAP)_Week 12 Look Ahead_Easy and Hard Spots Visualized_Vegas Data as Well. Week 17 FSPs Color Coded Player Rankings With Risk Analysis. Game by Game. Defense against the Position and Vegas Data. Crush It! Week 2 Professor's STD Player Rankings by Position and Positional Risk Analysis! Week 2 Wavier Wire Wordle. Week 20 NFL Playoffs_Fanduel DFS Value Rankings_Game by Game_Defense against the Position and Vegas Data. Cash is King! Week 3 Tops and Flops. Drop Adds Wordled! Week 4 STD Rankings By Position with Player Risk Analysis Included. Week 5 TOPs and FLOPs. Wordle Version! Week 7 Waiver Wire Wonders. Wordle Edition Treat. Week 9 _ Scaled defense against the position__ plus early Vegas Lines. Early Week 10 look and Playoff Week s 14 to 16. Plan Now! WR GAP Analysis. What is Each Teams WR Gaps? Prepare for Chaos. WR Preseason Data Colorized Tables Neat Data!